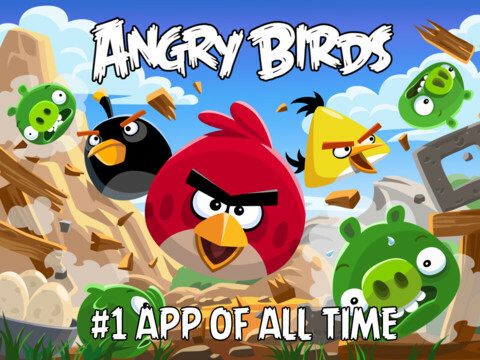 Rovio’s Angry birds game have continuously breaks the record, and Still it is the Number one app of all time in Apple iOS App Store. There is no doubt that every iPhone or iPad user have this game on their devices. Android users have always lived in the free Angry birds world. Now iOS users have also can get this popular game for free on both iPhone and iPod Touch (Before Priced at $.99) and its HD version on iPad (Before Priced at $2.99). The first time Angry Birds Game is available for in Apple App store. Now this Angry Bird again going to create the record in the Free Apps list. Why not? Angry birds will soon be listed in the ‘free app of the Week’ by Apple. Angry birds Game is always been popular and Rovio add many series and levels in thier game. 5 Best Free New Android Games Apps of This Week - Angry Birds Friends, Blitz..